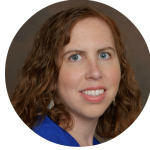 Y’all, I’m so excited to share this guest post by my good friend Nicole Haschke of Knitting for Charity. When she asked to do a post about one of my “most-favoritist” Old Testament stories, I did the happy dance. In my pajamas. Want more story-based Bible study? Check out my free Armor of God Bible Study here! 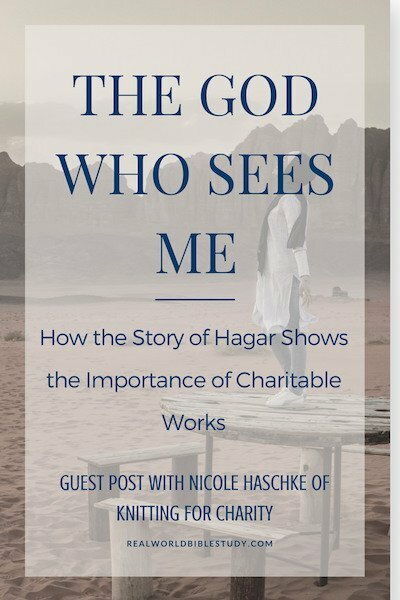 How could the ancient story of Hagar, an Egyptian maidservant, possibly inform our works of charity today? Most of us are familiar with the story of Abraham, the grand patriarch of the Jewish faith, and how God promised him (and his wife, Sarah) that his descendants would outnumber the stars. Most of us are also familiar with Sarah (then known as Sarai)’s doubt that this would happen. It’s not hard to understand why! She and Abram (as he was then called) were well into their 80s. So convinced was she that she would never have children that she did something that you and I would find distasteful today, but was common practice in the ancient times in which she lived. He [Abram] slept with Hagar, and she conceived. Then Sarai mistreated Hagar; so she fled from her. What happened next troubled me for quite some time, until I began to look at it differently. Back to Genesis 16, starting with verse 7 and running to 14. “You are now with child and you will have a son. You shall name him Ishmael, for the Lord has heard of your misery. She gave this name to the Lord who spoke to her: “You are the God who sees me,” for she said, “I have now seen the One who sees me.” That is why the well was called Beer Lahai Roi [which means Well of the Living One who sees me]; it is still there, between Kadesh and Bered. Okay. So at first this story made me sad. Hagar wasn’t exactly innocent in this situation, but she was the one who had no power. She likely couldn’t have said “no” when Sarai told her to sleep with Abram, even if she’d wanted to. She became pregnant, which is exactly what Sarai wanted to have happen. And then she was mistreated to the point where she felt she could get relief only in running away. And then after all that, God told her to go back! Not only that, but he told her that her son’s life was going to be turbulent and difficult. It all seemed so unfair to me. 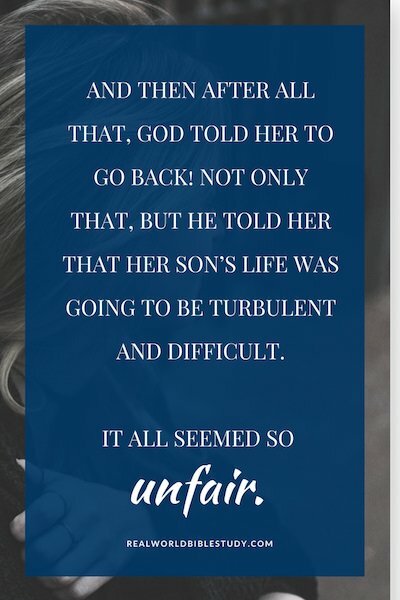 Yes, from my 21st century, comfortable middle-class American existence, Hagar’s situation and the prophecy spoken over her unborn son seemed terribly unfair. But that’s not how Hagar — Egyptian slave and concubine, the lowest of the low in her culture — saw it. Also, there was the prophecy. Yes, the man her son would grow into would face trouble. But God also promised Hagar that through her son she would have many descendants. Jewish culture always equated children with divine blessing. So for her to have many descendants meant that she was incredibly blessed by God. I suspect, now, that far from feeling frustrated by the unfairness of it all, Hagar returned to Sarai with new hope and maybe even a straighter posture. She had been seen by God, and she had been richly blessed by God. Did her misery go away? Probably not. Hagar was still carrying the child of her mistress’ husband. She might still feel jealous of Sarai, and it’s almost certain that Sarai considered to feel jealous of Hagar. Maybe she even continued to mistreat her — we don’t know. But in her misery, Hagar was seen and heard and blessed. She was on a first-name basis with the God who sees. And it made all the difference. 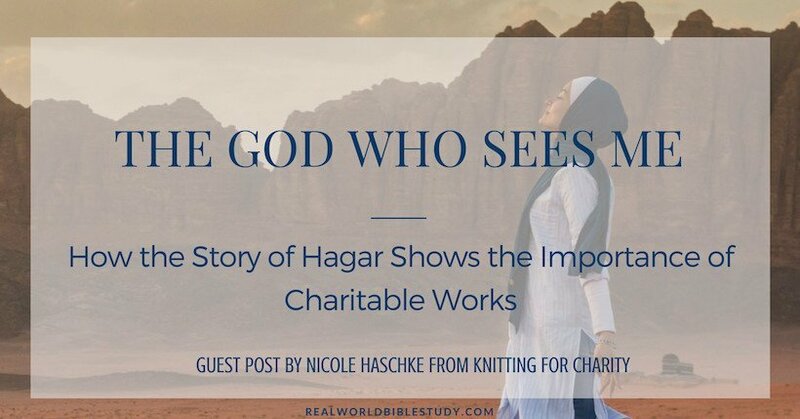 Since I became a charity knitter, and begun blogging at Knitting for Charity, Hagar’s story has come to life for me in a new and deeper way. Charity crafters reach out to people in need in a variety of ways. I’ve seen nearly every kind of knitting initiative you can imagine! Even snuggly blankets and toys for dogs and cats in animal shelters! (If you want more ideas for getting started with charity knitting, you can check out my free email course here). Some of these needy ones have physical needs met by charity knitting. Others have emotional needs and are comforted by charity knitting. The same “God who sees me” sees them in every rough turn and painful day. And one thing unites nearly every recipient of a gift of handiwork: a tremendous gratitude that a stranger would take the time to make something they needed. In other words: the joy of knowing they are seen. And they have been blessed. Anyone Can Be a Blessing! You don’t have to be a yarn crafter to offer your blessings to someone in need, of course! Any act of service does the same thing. Volunteering in a homeless shelter, a soup kitchen, a school, a church. Helping in food pantries or clothing closets (ie, the kind that offer clothes to needy folks free). If you offer yourself in any kind of service to anyone else, you’re letting that person know that you see them, you love them, and you want to bless them. 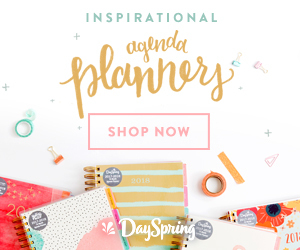 So if you love to work for charitable causes or organizations — whether it’s through knitting, crocheting, another craft, or in a myriad of other ways — know that you’re performing a sacred work that has been blessed by Jesus Himself. And know that you are offering a great gift to others: the gift of being seen. And if you haven’t found the right way to offer this blessing to others? Keep looking! 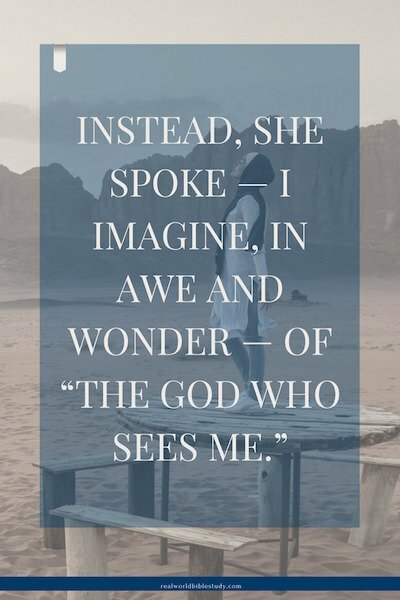 You have unique gifts that will allow you to bless others and let them know that the same God who sees Hagar in her distress, the same God who sees me, sees them. Wasn’t that awesome?! Thank you Nicole! 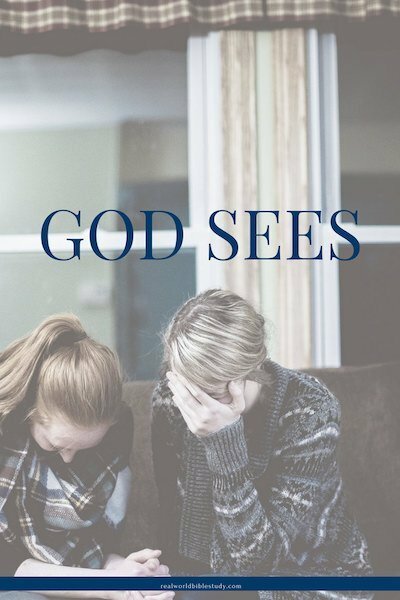 One of my favorite things about the story of the God who sees is that God doesn’t just see Hagar in her distress; in the next chapter we find out that he sees Sarah, despite all her mistakes. She couldn’t mess things up badly enough to make God give up on her. So when you encourage someone, whether the victim or even the perpetrator, the God who sees is working through you to raise them up and give them hope. If you want more from Nicole, you can check her out at KnittingforCharity.org or on Facebook, Twitter, or Instagram. And don’t forget to check out her FREE email course, Getting Started with Charity Knitting!